Halloween is such a fun time of year, though organising a costume can be a little time-consuming and often really costly! Here’s our handy list of easy kid’s halloween costumes that you can make at home that wont break the bank while still looking amazing. Bright ‘Up’ everyone’s Halloween this year with this adorable old man Carl costume! 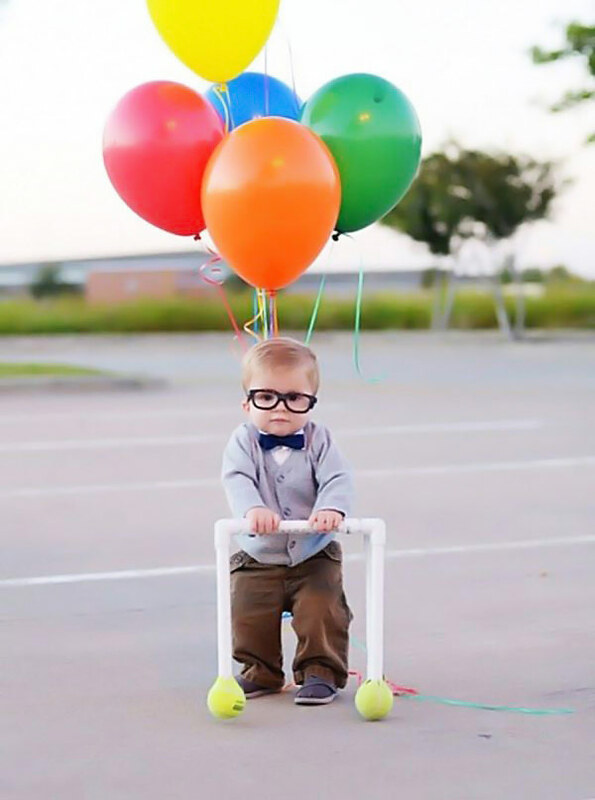 All you need are some helium balloons, fake glasses and a little bow-tie to get the old man look just right. The hardest part of this costume would be the little PVC walking frame, though a little cane with a tennis ball on the end would do the trick. Bonus if you happen to have a golden retriever as a pet! 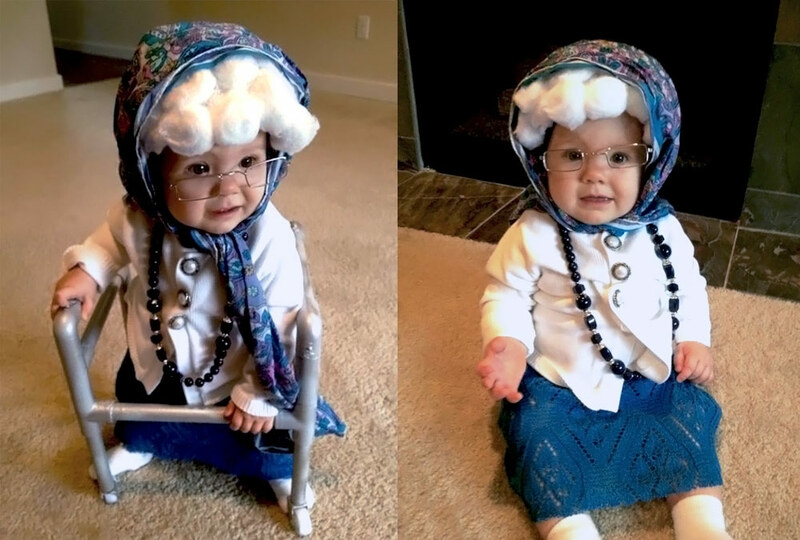 This adorable elderly baby costume is sure to melt everyone’s hearts this Halloween. Again, the hardest part would be the teensy walking frame, though the costume still looks amazing without it. You can attach large cotton balls to a scarf to get the old woman hair look. Make sure those glasses don’t actually have any lenses in them though! 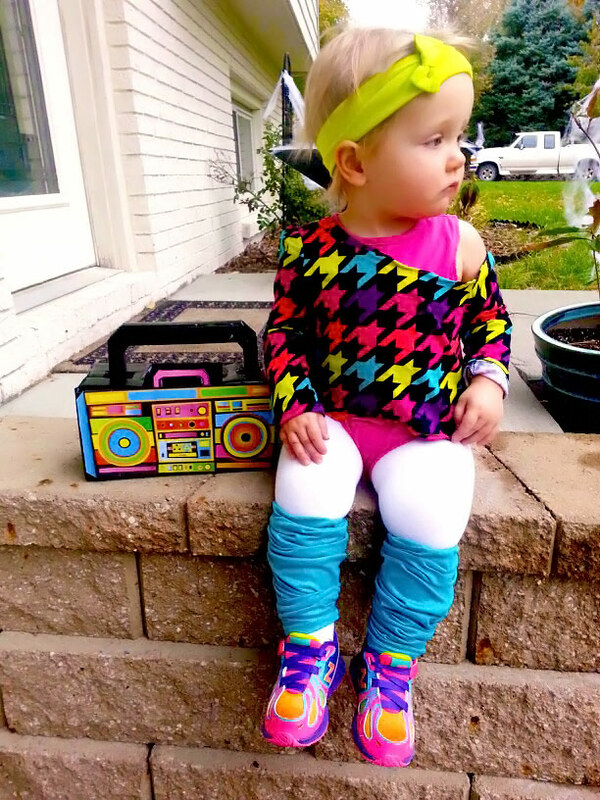 Dress your kid in the most fluorescent clothing and headband you can find to make this adorable 80’s Aerobic Instructor costume. Bonus if you have a working boom box so you can pump out 80’s jams as you walk! 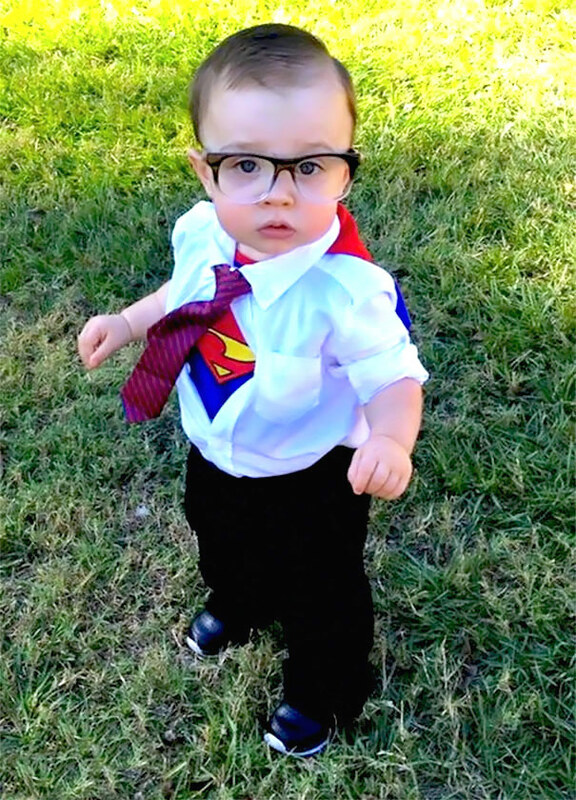 While they may not have super strength, babies sure do make adorable tiny super heroes. You’ll need to find a shirt with superman’s logo on it in order to make this Clark Kent costume. Optionally, you could print out the logo at home if the budget’s tight. Make sure to knock out the lenses in those fake glasses or have clear ones if your child doesn’t already wear them! 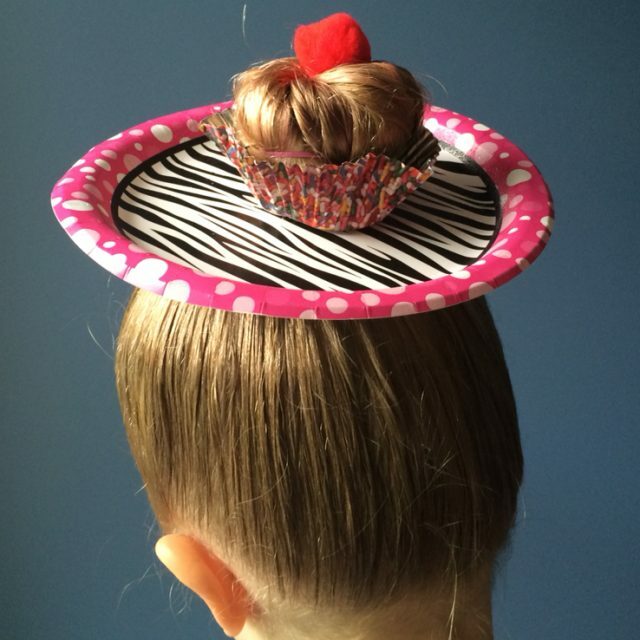 People are sure to get a good giggle out of this Mini Hipster costume while you trick-or-treat. You’ll need a false tattoo sleeve (or temporary tattoos), fake glasses and a snazzy little vintage outfit to make this one work. Oh, and don’t forget to draw on a terrible moustache! Go the whole nine yards this halloween with a super cute Little Football Star costume! 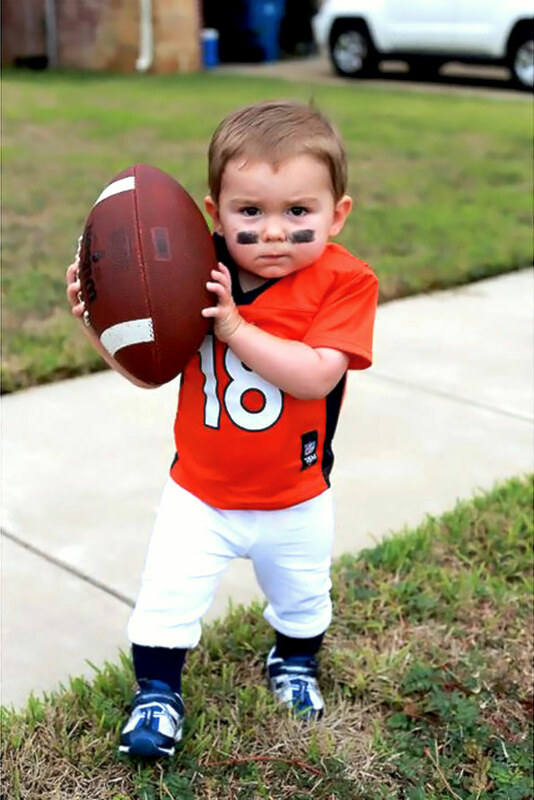 All you need is a little sports jersey, some face-paint and a football to transform your baby into a tiny sports sensation. 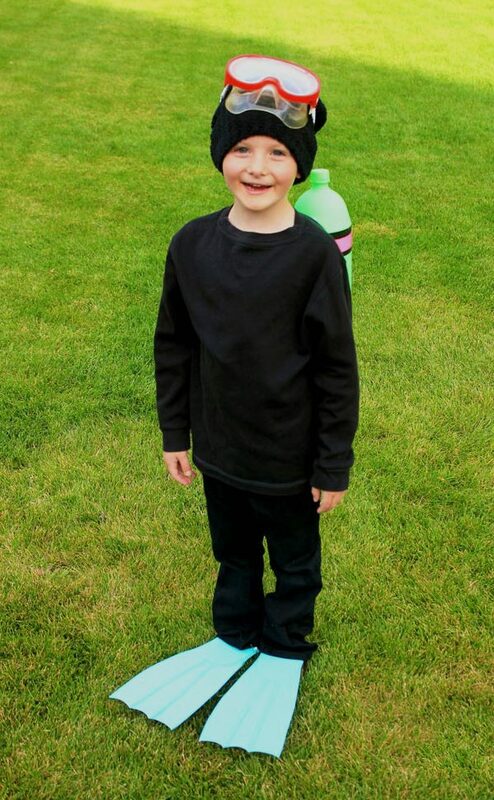 As far as simple costumes go, this Jr. Scuba Diver idea is really easy to make and looks amazing! The base of this outfit is just black long-sleeve clothing with a black beanie paired alongside their snorkelling goggles and flippers. Add two painted soda bottles for the air tanks and you’ve got a cute junior scuba diver costume! 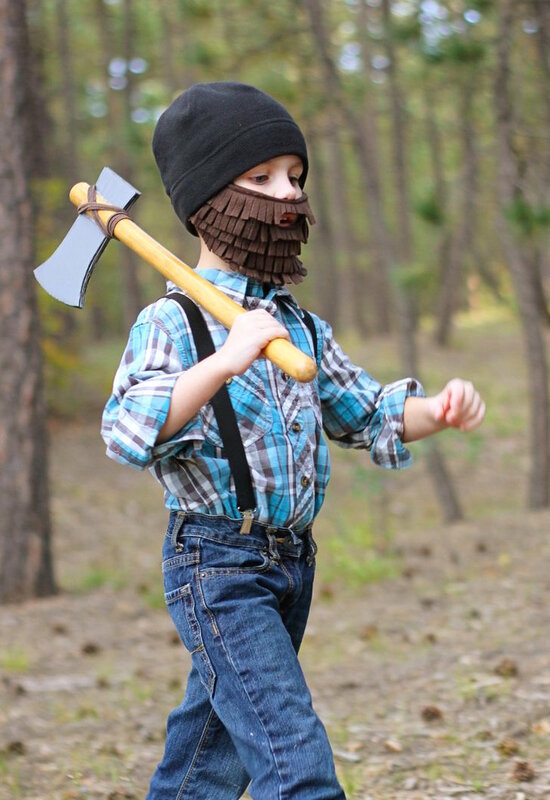 This little lumberjack costume only needs a false beard, a fake axe, a flannelette shirt and suspenders to transform your child into a little woodchopping master. This costume would also pair well with a little red riding hood costume if you want to have fairytale themed sibling costumes! 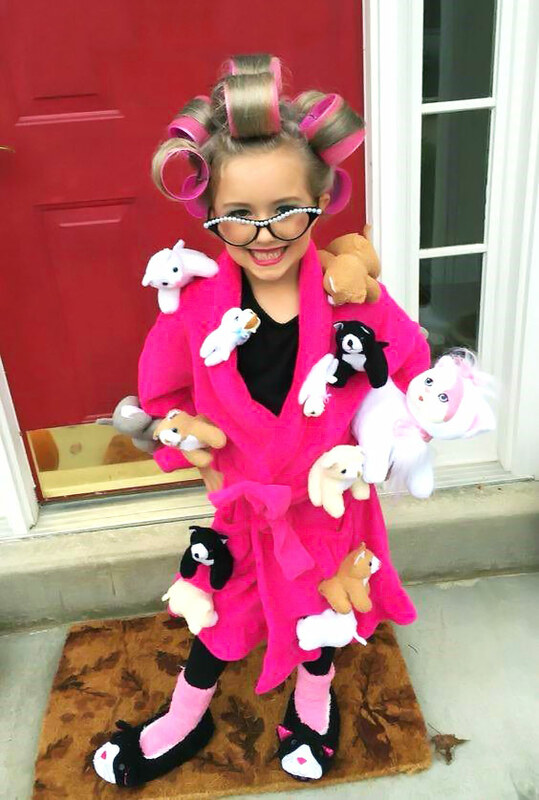 This crazy cat lady outfit for little girls makes for an absolutely hilarious halloween costume! It does involve a little sewing to attach the stuffed animals to the dressing gown, though you could try using velcro if you’re not fond of sewing. Use hair rollers and slippers to give this costume the perfect look and add an eccentric pair of false glasses if you happen to own any! Everyone’s favourite goofy pet detective makes an adorable costume for little boys! 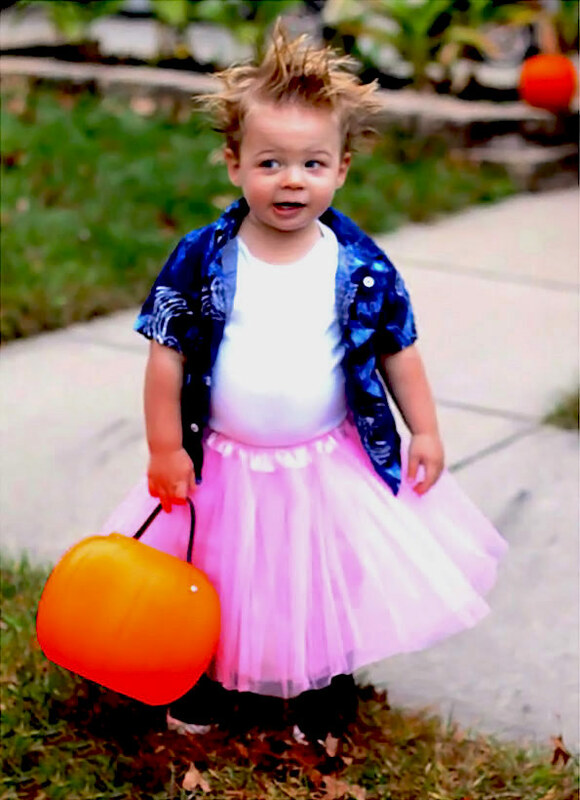 To make this costume work you’ll need a tutu, a white single, a loud button up shirt and a LOT of hair jell! Your little one might not get the reference, but your neighbours are sure to get a chuckle out of this one. 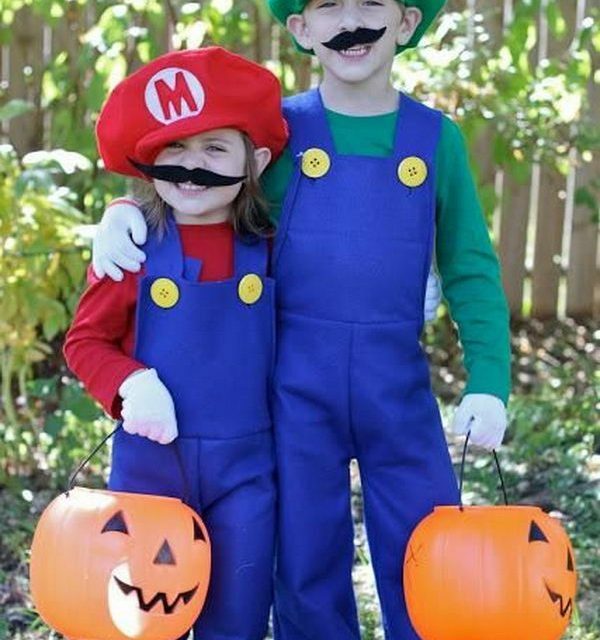 We hope you’ve enjoyed checking out these adorable easy halloween costumes for kids. Let us know if you try any out, we’d love to see pictures!